Good news…I’m typing most of this from our computer (cue happy dancing)! Bad news….I can’t upload photos to the computer, so we’re dealing with low quality phone pics again, but hey, I’ll take what I can get! 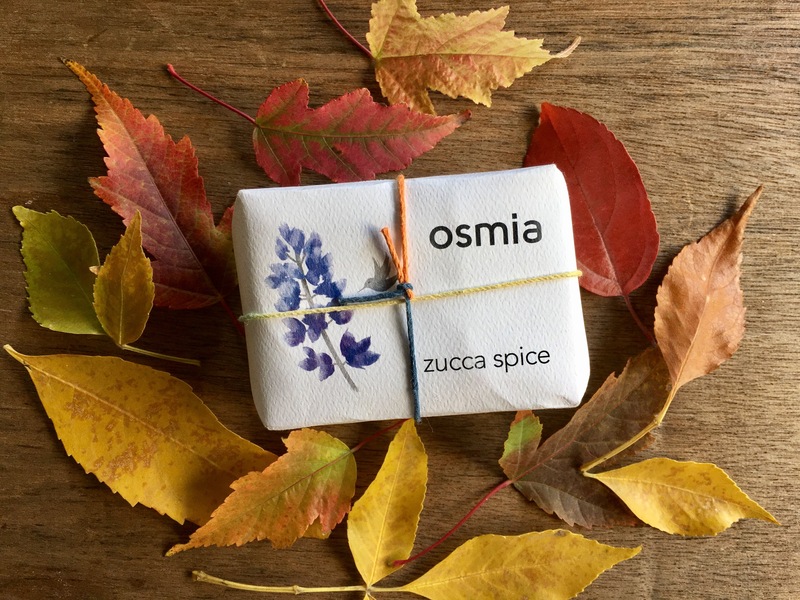 ZUCCA SPICE >> Osmia Organics | Artisanal Soap >> My friend, Jen, sent me a beautiful ‘Happy Autumn’ box and in it was this delicious bar of soap. I almost didn’t want to use it because it was so perfectly and wonderfully packaged AND I wanted to be able to smell it forever! But I’m using it and loving it…A LOT. It’s incredibly creamy with a gentle lather and doesn’t leave a perfume-y, intoxicating scent on your skin. The aroma is warm and cozy in the shower (literally screams Autumn…kinda like pumpkin spice latte meets the woods) and you’re left with soft, happy skin. It looks like they’re all sold out of Zucca Spice, but I’ve got my eye on a few other scents! 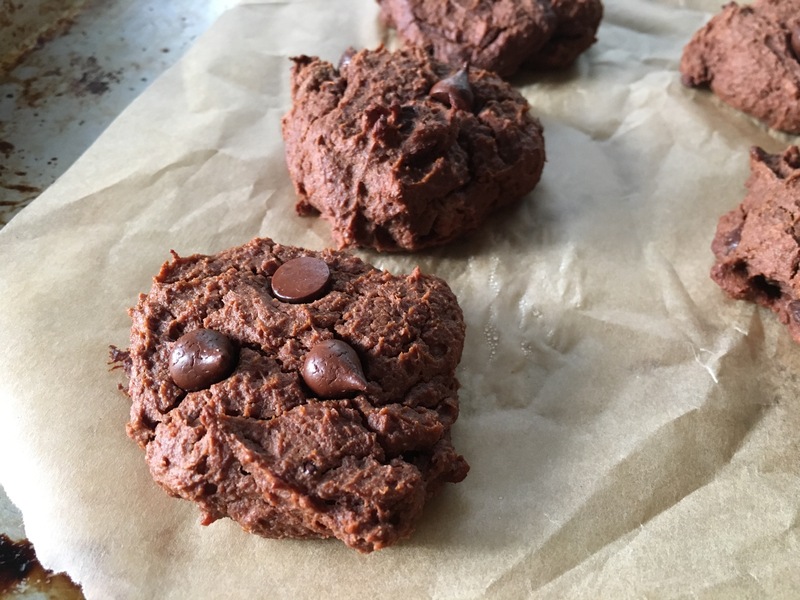 CHEWY CHOCOLATE BROWNIE COOKIES >> Feasting on Fruit >> Willow had been asking to make these ever since I showed her Natalie’s video…and since it involved a lot of chocolate, she was super happy to help make them! We skipped the walnuts (since we’re avoiding them for Willow) and ours didn’t turn out nearly as dark as Natalie’s, BUT they tasted delicious! Definitely brownie-like, chewy, fudgy, and not overly sweet. 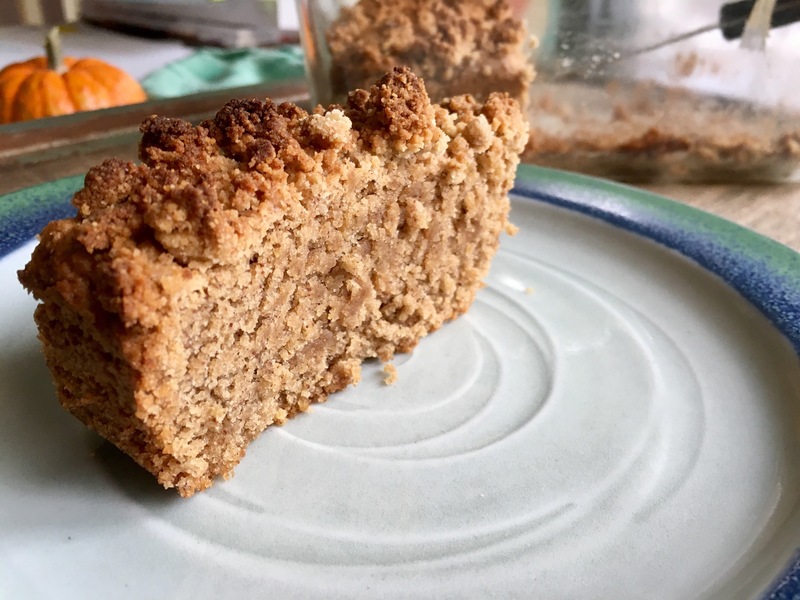 CINNAMON STREUSEL ZUCCHINI BREAD >> Feasting on Fruit >> We made this not once, not twice, BUT THREE TIMES!!! It’s seriously that good. So good that we shared some of the second loaf with friends (non vegan) and they all asked for the recipe. 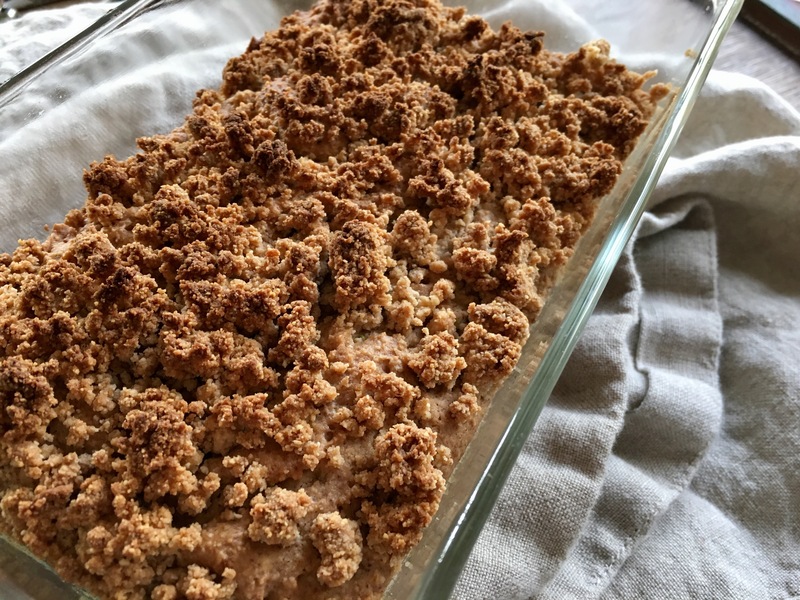 I think this is my favorite recipe of Natalie’s…and I’ve made quite a few of her creations, so that’s saying a lot! If you were to offer me something chocolatey or a slice of this zucchini bread, I would take the bread every time. I loved lightly reheating a slice in the oven to go with my tea and I’m not ashamed to admit that I ate some for breakfast one morning with Willow. 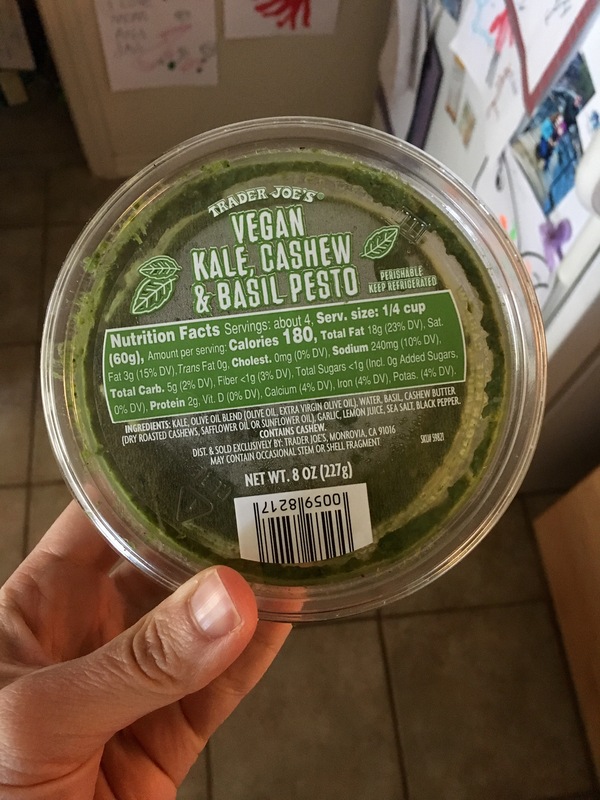 TRADER JOE’S VEGAN KALE CASHEW & BASIL PESTO >> Josh brought this home from work a couple of weeks ago and it has become our new favorite! Yes, I know we could make our own, but when a store carries a legit pre-packaged item (no citric acid, sugar, gums, etc. ), I like to support that. It tastes super fresh and packs a lot of flavor. We even got Willow to eat some, which is huge. Things we’ve tried it with: Simple Mills crackers, fresh veggies, Trader Joe’s lentil noodles, potatoes, and homemade pizza. 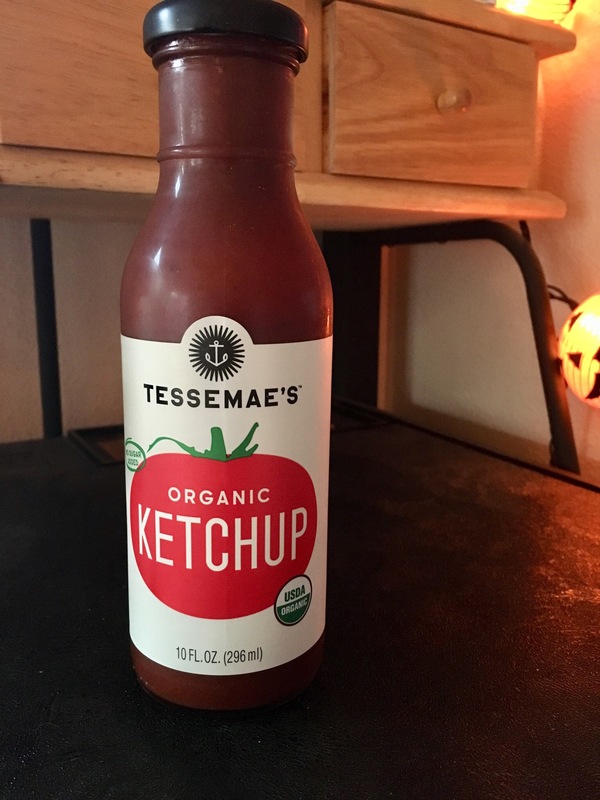 TESSEMAE’S ORGANIC KETCHUP >> I feel so silly for putting store bought ketchup on my favorites list, BUT it’s seriously good. I’m all about making things from scratch, but I’m always on the hunt for healthy, convenient options when you’re in a pinch. Most store bought ketchups contain sugar, citric acid, and other random additives that we avoid….So I was excited to find an alternative that was free from all of that! It’s sweetened with dates, but doesn’t taste like dates – I promise. I don’t use ketchup very often, but Josh and I were talking about it randomly one day and suddenly craved it! 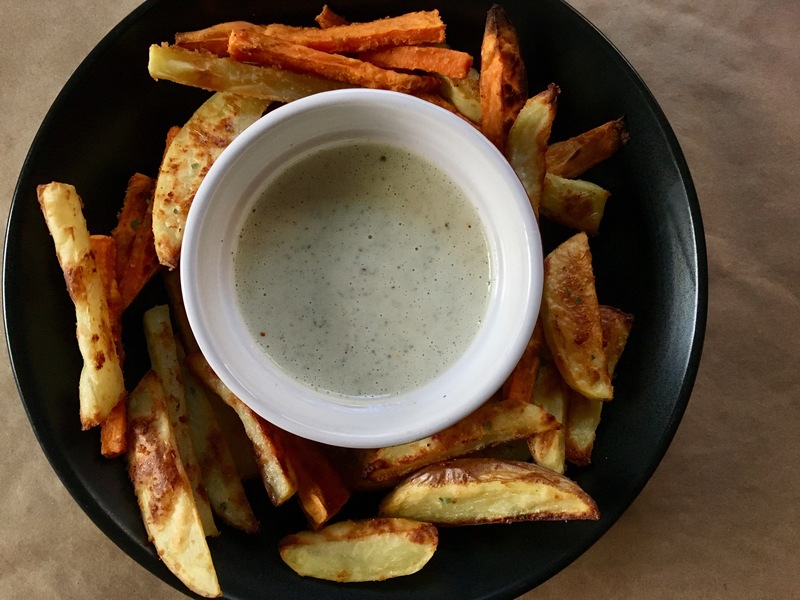 I’ve been loving it with roasted potato wedges. I found it in the refrigerated section at Natural Grocers. 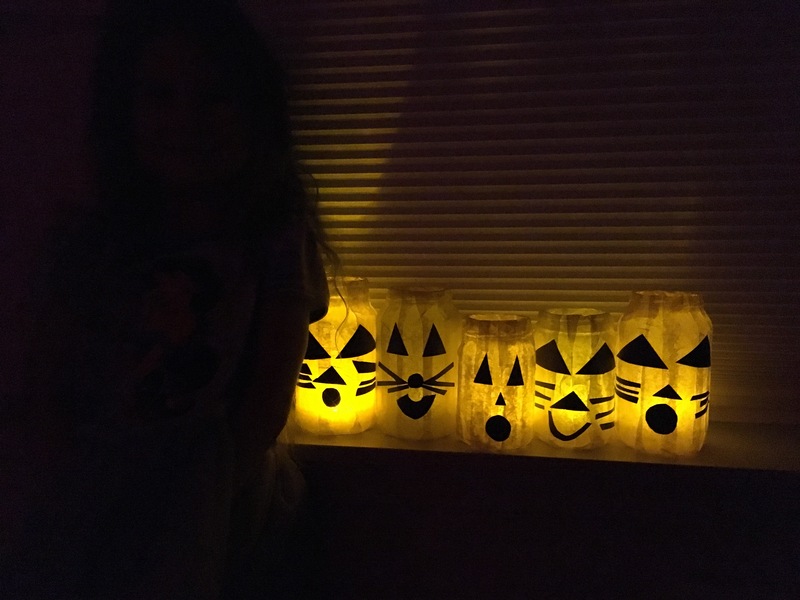 Easy DIY Halloween Luminaries >> This was such a FUN craft to do with Willow!!! She even asked to make a couple for her favorite Natural Grocers and Whole Foods employees ❤ Be prepared though to get sticky and messy! The YouTube video is insanely cute and worth the watch. We bought some of those LED tea lights from the dollar store, repurposed some tomato sauce and salsa jars, and found tissue paper on sale…so this was a really inexpensive project! They look more yellow (as opposed to orange) in the photo below, but I think it’s because of the yellow tea light inside the jar. 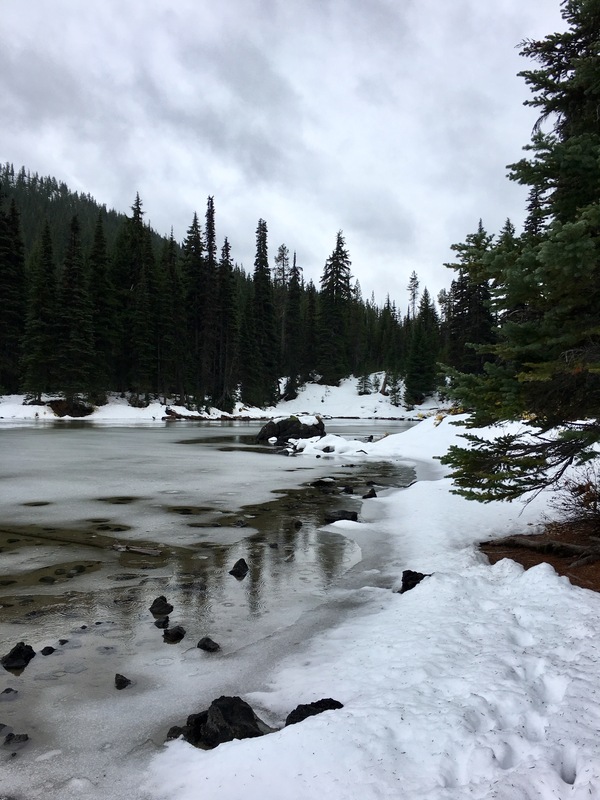 INSIGHT TIMER >> I’ve been working a lot more with focusing on my personal path, digging deep, and letting go of the things hindering my growth. One of the things that has helped tremendously is the free app, Insight Timer. There are countless guided meditations, talks, and music for various areas (sleep, inspiration, calming, refocus, etc.). I try to take time to listen to music or a guided mediation twice a day and I’ve noticed tremendous change in my overall attitude and well-being. The best part is that even Willow asks to listen to some of the sessions (she loves the singing bowls most). There was a period of time last month where I was struggling with insomnia and the sleep meditations really helped to calm my mind and get me ready to sleep. I highly recommend it! VEGAN CREAM CHEESE ALFREDO >> The Vegan 8 >> Brandi does it again! Another delicious (almost drinkable) sauce that I want to put on everything. She’s kind of the queen of heavenly sauces – I had already made her garlic afredo sauce from a few years ago and loved it, so I already knew that I was going to really enjoy this one! Brandi is so good about seasonings and flavor and she’s taught me to have a heavier hand when it comes to using spices/herbs…a tablespoon of dried Italian herbs in this recipe was so perfect. Incredibly creamy, rich, and went so well with everything I paired it with! 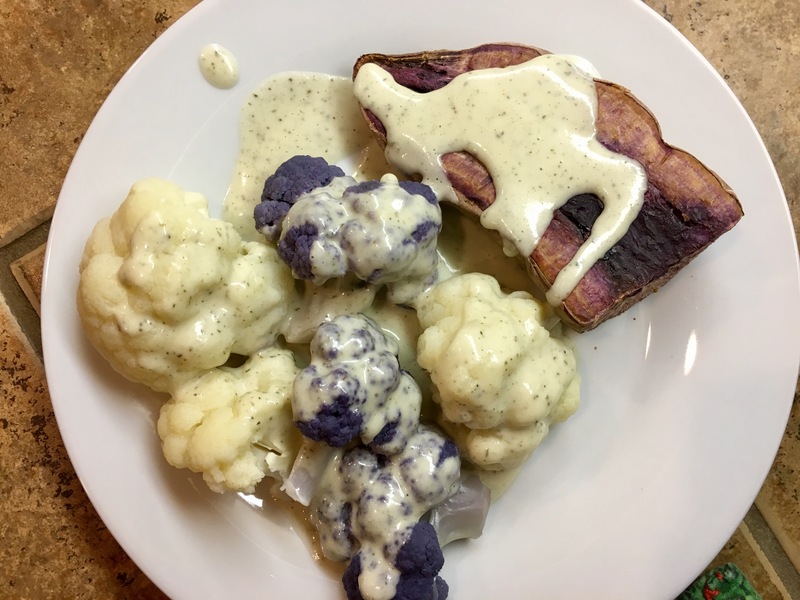 The first night we poured some over cauliflower and purple sweet potato. The next night I dipped roasted potato wedges in it. SO GOOD! 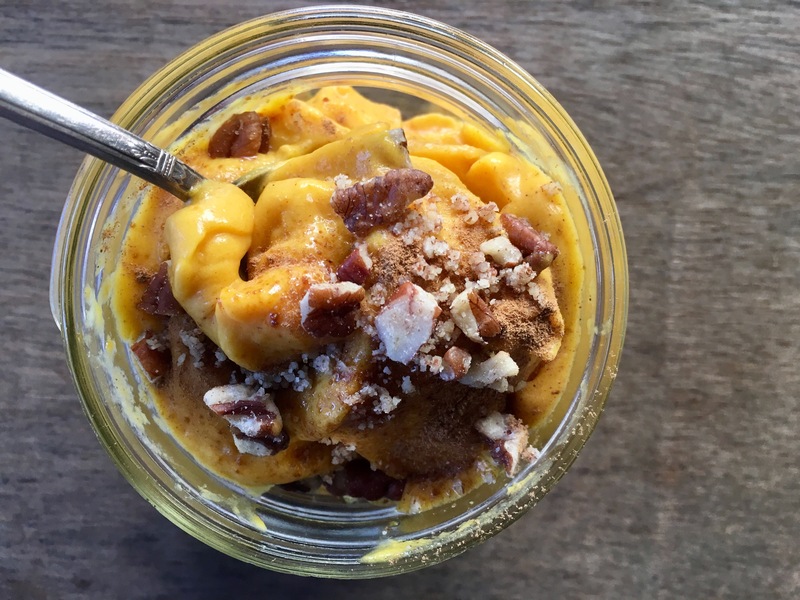 ROASTED BUTTERNUT SQUASH ICE CREAM >> Feasting on Fruit >> Natalie has introduced me to a new favorite way to use roasted butternut squash! My brain always goes to soup – in fact, we’ve made butternut squash soup at least four times this season already. So when I saw this new recipe waiting for me in my inbox from Natalie, I was intrigued. 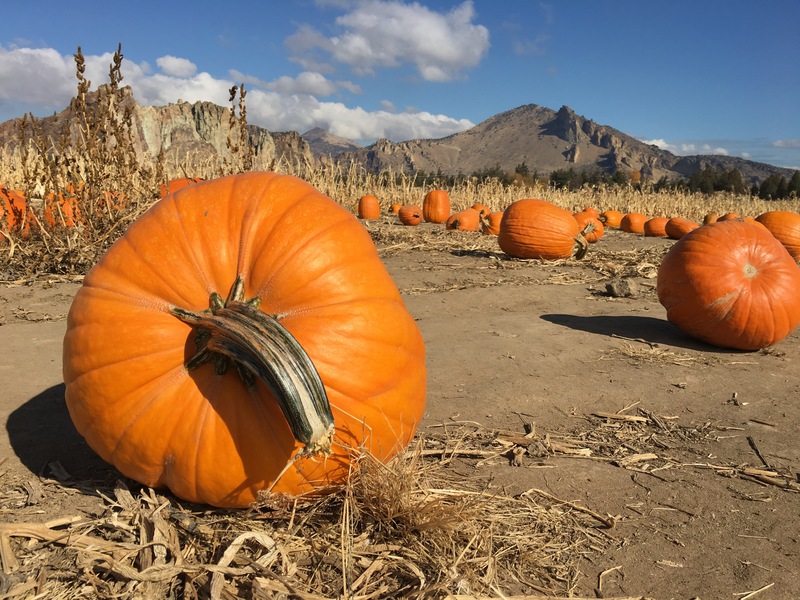 Roasted butternut is the way to go – roasting brings out the flavor and natural sweetness of this divine squash. It’s what we do for soup, so it made perfect sense to me to roast it up for this delicious ice cream! And oh, goodness. It WAS delicious! So cinnamon-y, creamy, sweet, and she was right when she said, “cold + cozy.” We topped ours with extra (lots of extra) cinnamon and chopped pecans. I can’t wait to make it again! 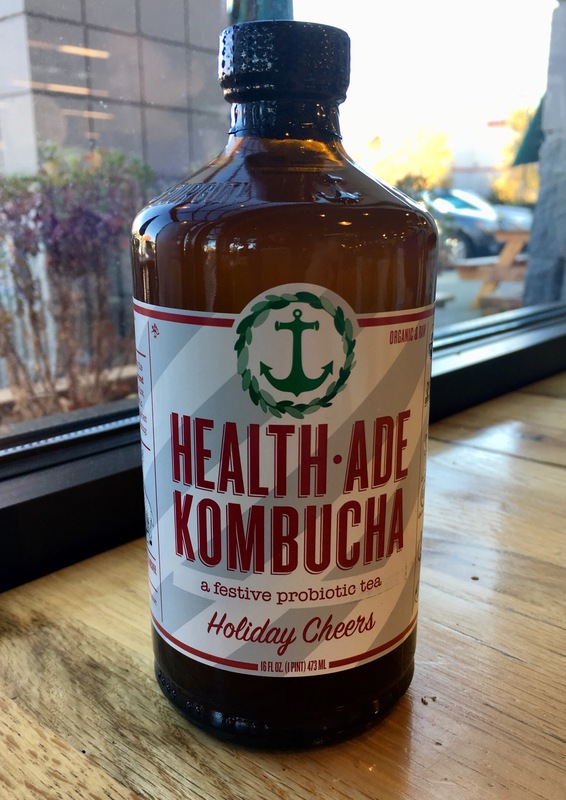 HOLIDAY CHEERS >> HEALTH-ADE KOMBUCHA >> I found it! I finally found it!!! And I know it’s not the holiday season just yet, but I couldn’t resist. Thank you, Whole Foods, for carrying this!! I tried finding it last year, but didn’t have any luck. This is definitely one of my top 3 brands because the sugar content is super low….this entire bottle has 4g. I love the cozy, but not overpowering flavor (ginger + cacao + allspice) and slight sweetness. I think I need to stock up on more next shopping trip! 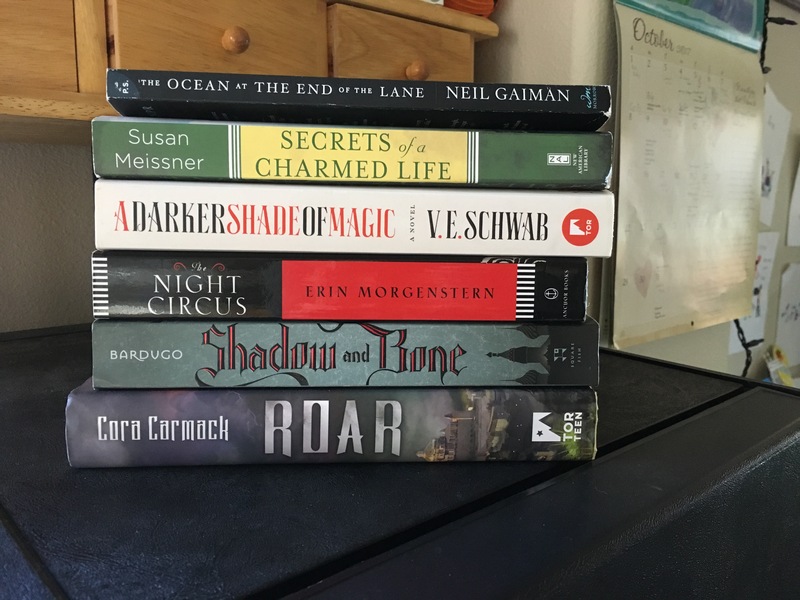 Here is what I read and loved from mid-September through October! (Not pictured: Braving the Wilderness by Brené Brown – I loaned my copy to my Mom). I HIGHLY recommend reading it. I read Light is the New Black for the third time and I swear it helps to refocus and recenter me every time. I know I’ll read it again and again. I also wrapped up A Court of Thorns and Roses series and just, wow. 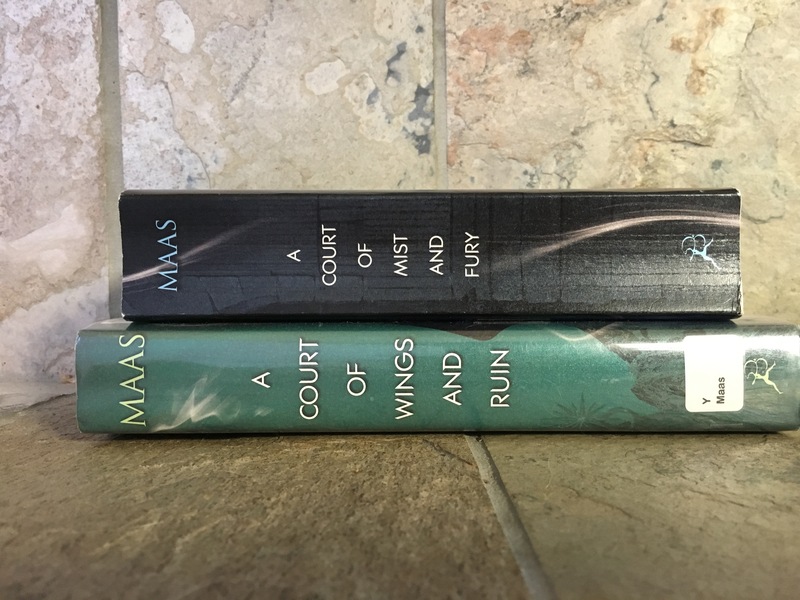 I was SO sad to finish it and even struggled to get into another book afterwards because Maas did such an amazing job sucking me into the world and its characters. Have you watched anything good lately??? It’s been a few months since I’ve watched anything on Netflix or really anything besides an occasional YouTube video, but last week my parents watched Willow for a few hours so Josh and I could start the second season of Stranger Things! Gah!!!! It is so good. We’re hoping to finish it up this week or next. 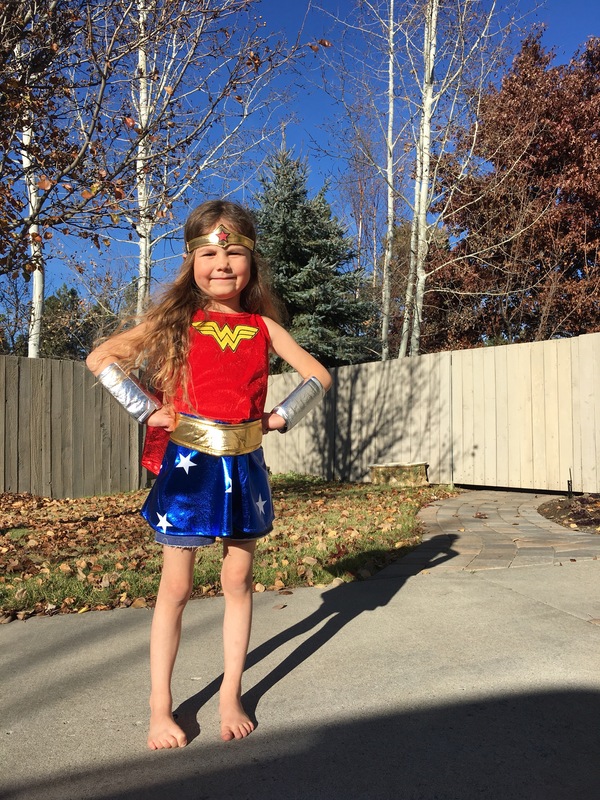 She only knows about Wonder Woman through reading books and has become obsessed with her…so it was no surprise to us when she asked to get a Wonder Woman costume. I hope you all have a wonderful November! Mandy! It’s so wonderful to read your blog! I’m so so so glad you didn’t give up on it! Thanks to the universe for sending you a sign! I love your writing style and I always love seeing what your favorite things are each month. I had printed all those recipes from Natalie @feastingonfruit and now I’m motivated to make them. But my favorite things in this post is the pictures of Willow! Her throwing the leaves is epic and the Wonder Woman stance is simply awesome! Love you! I’m so glad you renewed your blog, I absolutely LOVE reading your posts! I am definitely going to try that zucchini bread! And Willow looks so cute in that costume!! Haha!! Willow really is so full of joy and excitement….and it’s contagious. I get to be a kid again and she’s taught me so much about just living in the moment. The weather here can be so crazy and the mountains can start getting snow as early as September! 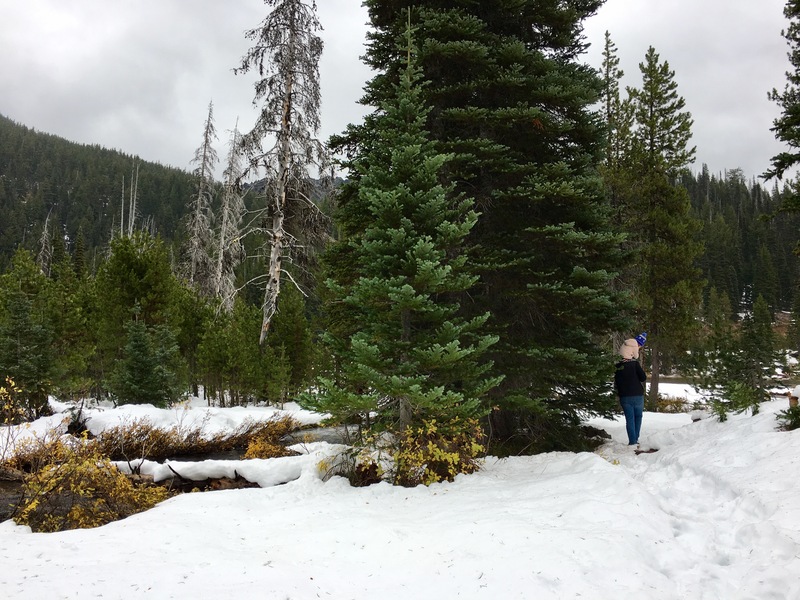 We were honestly pretty surprised to see that much on the ground already (mid-October), but it just made it more magical! Ooooohhh!!! You found the vanilla one??? It’s an obsession of mine! I actually spotted a few bottles of it last week and had to grab one. That holiday health-ade one has been on my list for at least two years, but I had never been able to find it! I hope it becomes a regular holiday item in our stores from now on. I wish I could send you some!! Wow! Willow has grown up so much!! I love all your photos and how beautiful it all looks. Glad that you’re continuing the writing! Hope you are all doing great! Hi my sweet friend! I’m so very sorry to be so behind on your posts! I literally just wrote my last recipe for my book this week and feel like I have SO much catching up to do! I’ve been so immersed in work and trying to meet my deadline and miss catching up on your blog…since I never get notifications by email….grrrr. Haha. Anyways, you know how much I love you, your blog, your posts, your recipes and your PICTURES!! So, I hope you never stop blogging. 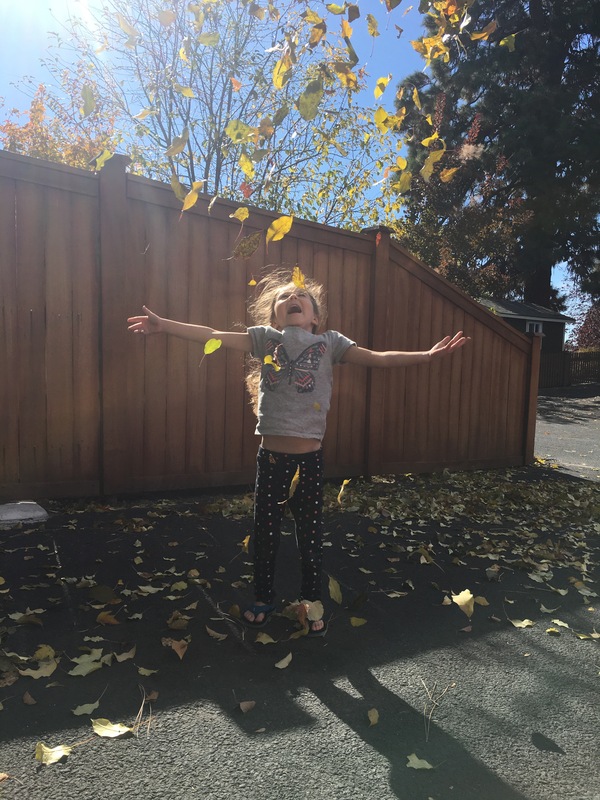 I love seeing glimpses into your life and that pic of Willow throwing up the leaves just stole my heart….how freaking adorable is that?! Thank you so much, as always, for making my recipes and so so so happy you made and loved the Cream Cheese Alfredo..I was so excited when I got your feedback on the blog!! You are too sweet, thank you for your kind words! Ok, I NEED that Insight Timer…omg…you share, I swear, the most amazing finds. I have been so darn busy lately and stressed to the MAX like never before and am really looking forward to getting past this deadline and just breathing again and taking some time for myself. I haven’t really had much of a chance lately and can’t wait. I need to look into that thing. Also, these scenery pics are so stunning and breathtaking..I am so envious of all the beauty you get to see in your world. What a blessing it is to live in those beautiful areas. I’m jealous of the cold area too…I love living in Texas but really do wish it got colder here for longer. I hope you check out Insight Timer! I've been keeping up with it every day and I have to say, it's been life changing. Some days/nights I only manage to get in a quick 8-10 minute meditation, but they help so much to keep me grounded and relieve any stress I might be feeling. I can't even begin to imagine the stress and chaos that comes with writing a cookbook! 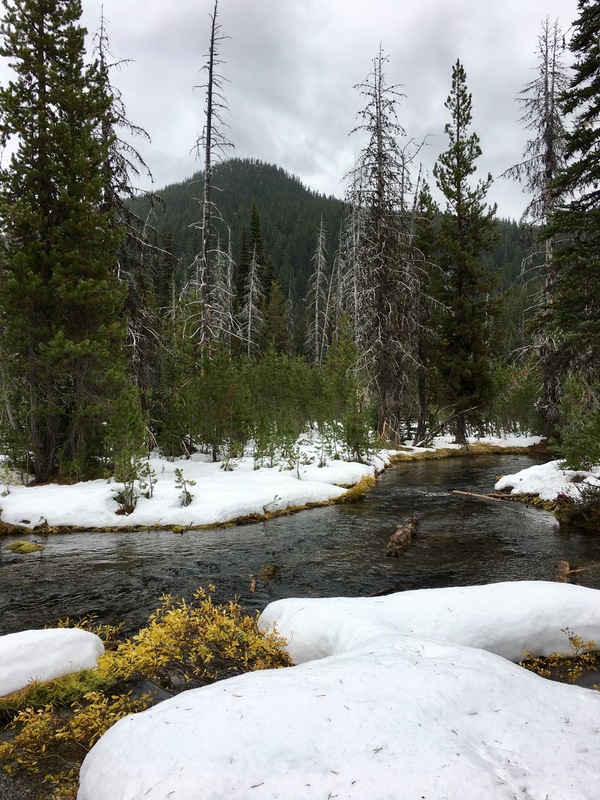 When I lived in CA, I remember really missing the seasons and experiencing more of the chillier weather – while I do curse the winters sometimes, I sure do enjoy going through all the changes of nature. Truly is amazing and beautiful!